How to create a budget planner to start your savings? Sometimes, no matter how hard you try, you seem to keep on living paycheck to paycheck. Which means that you spend an amount equal to all or more of your net pay each week. For some people, if their paycheck was delayed by a single week, they would be in a difficult financial situation. The truth is that most people who are living paycheck to paycheck are not necessary living in poverty or in another difficult financial situation. Actually, a survey from the Canadian Payroll Association reveals that this situation affects almost half of Canadian employees (around 48% of working Canadians). In most cases, it is due to soaring spending and high debt levels. The first step to getting out of this financial turmoil is to realize it. Then, you have to improve the situation, because it is possible, even if you think that your salary is not that high. This is where the budget planner comes in. It might be a simple piece of paper or an Excel spreadsheet on your computer. The budget planner is your first step out of your spender habit and the beginning of your savings. This is not a miracle solution, it requires good habits and willingness. And the good news is that your commitment to a budget planner could help you enhance your financial health in the long-term. Why is it important to have a budget planner? Creating and managing a budget planner allows you to keep your spending in check. This would help you keep your financial cushion intact. Then, you will have enough money for the unexpected situation such as a huge bill from the previous winter, a car accident or costs of hospitalization. A budget planner does not need to be complicated. Use a notebook as a budget worksheet or an Excel spreadsheet, both will perfectly do the job. In summary, you simply need to calculate what you are likely to earn (e.g. your income) and compare it with your expenses during the same period of time (a few months or a full year). You can use the figures from the previous months, or even from the previous year, as a guide for you to gather the history of your financial situation. 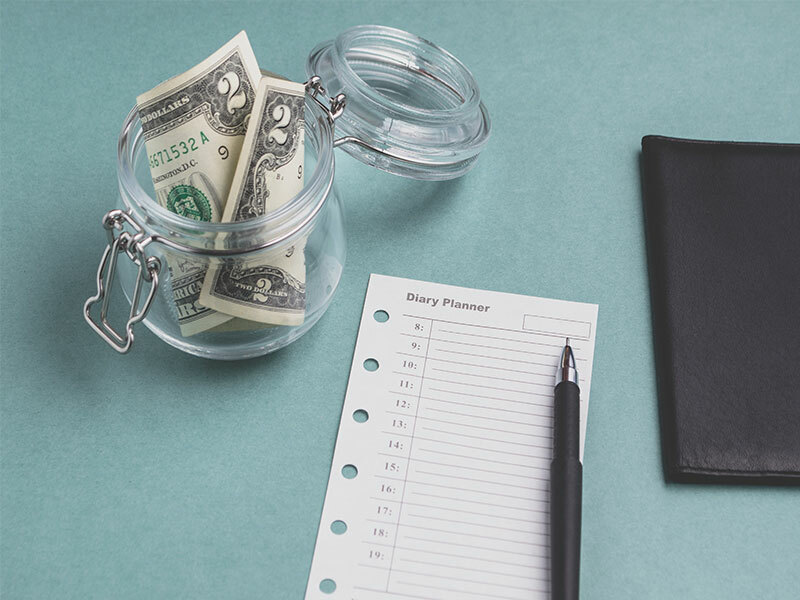 If you invest time in creating a detailed budget planner, it will be easier for you to manage your money as you get to a positive level in your finances. What your budget worksheet should include? All your revenues: It represents the inflowing money you earn or receive. It includes your salary, all your capital gains such as trading or rental income from real estate profits, your inheritances, an alimony, etc. Your fixed expenses: Fixed expenses are what you pay on a regular basis every week, month or year and always cost the same amount. For example, it refers to items like a rent, a car insurance, a mortgage payment or a repayment of a credit card or a repayment of an existing debt, etc. Your variable expenses: It most likely represents the daily spending you do that are more discretionary expenses than necessary expenses. This may be the case, for example, when you buy new clothes or when you eat outside in a good restaurant or when you decide to drink at a Starbucks Coffee. From there, you will be able to review your consumption habits and see where to start cutting. It sounds arduous, but it is necessary to be strict and diligent in order to get out of a financial plight. It is often the lack of rigor that leads us to this situation. There is another good idea to overcome this considerable change; it is to prioritize your spendings. That way, you technically don’t cut your variable expenses, you just put them on a schedule and in a priority setting. Once your budget worksheet is complete, you then have to go through it and scrutinize every single expense. You can separate the compulsory expenses from the discretionary expenses. Since the variable costs are logically the first expenses you can cut out, they are also the most difficult to trim. The reason is simple: variable costs are often the small joys of life that you indulge yourself with. It took determination and dedication, however, all those small preventable costs will turn into big economies. A good tip to help you know what to prioritize in your expenses is to refer yourself to the pyramid of Maslow. 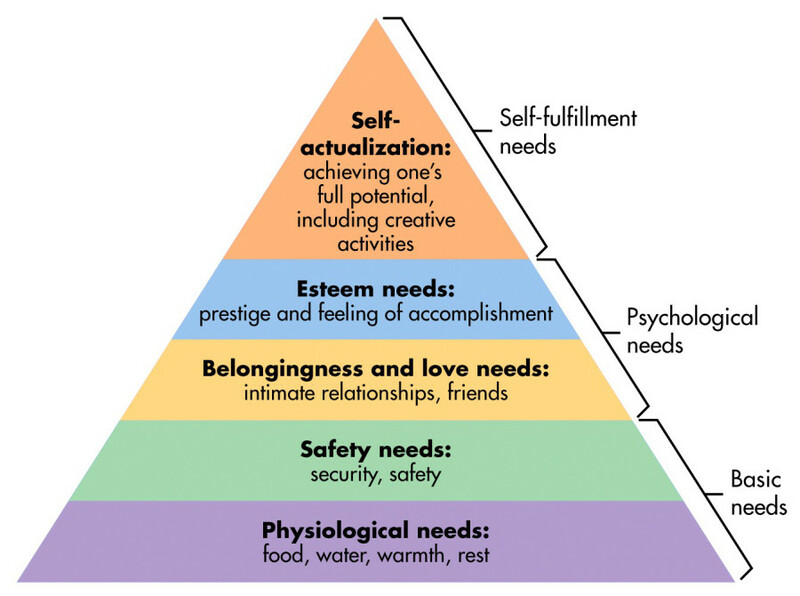 Maslow’s Hierarchy of Needs is a theory in psychology comprising five stages of human needs that motivate our behavior. The first stage is the physiological needs such as breathing, eating or drinking. In other words, these are our vital needs. Considering that, your prior expenses are related to food and nutrition budget. The second stage is the need for safety. For example, we need to earn money in order to build a shelter that can protect us. This might correspond to your rent or your mortgage. The third stage is the need for love and belonging. The human being is a social being. We need to belong to a group of people. In order to cover this need, you unlock your leisure budget so you can go out with friends and spend time with family. These imply paying for group activities, paying for car gas or paying food, etc. The fourth stage is the need for esteem. You look for self-confidence and respect from your peers. To be someone, you want to stand out. This stage is more related to materialistic needs such as buying a car, get a new fancy outfit, etc. If you are on a budget, you clearly do not have much money to spend on trying to stand out in society. The fifth stage is finally the need for achievement and self-fulfillment. We reach this stage once we fulfill the four previous motivations. This Maslow’s Hierarchy of Needs checklist is provided for guidance purposes only. Over time, you will be more aware of the bad habits which increase your spending as well as being able to prioritize them. Stick to your monthly limitation service fees, or you will be hit with penalties. Avoid overdraft fee by asking your bank to not provide you money when you are in a deficit position. Every transaction (deposits, withdrawals, transfers between accounts) has a cost. You may be able to save money by banking more time online or by changing your checking account plan for something more suitable for you. Even if a $10 shirt or a $20 pair of shoes is tempting, fast fashion could actually cost you more than real clothes. The cheap quality of their fabrics will make them hold up less long than a quality item. This will force you to replace them more often. In the end, you find yourself losing money by continuously buying non-lasting fashion items. Grocery is a compulsory expenditure. However, there are some habits that could cost you more than what you should actually pay at the checkout. For example, buying pre-cut food, following complicated recipes or shopping while hungry will not help you decrease your spending. You can refer to our previous blog article about saving money on grocery shopping to learn a few smart tips. This tip is more for the millennials. We are living in a Netflix area. Now there are cheaper alternatives to cable packages on the market such as Netflix, Hulu, Amazon Prime, etc. Plus, it is now possible to get all the information you need on social media, and most of the news channels now have replays online. It is cheaper, and you can watch it whenever you want. The process of creating a budget planner is necessary when you need to know exactly where your money is going. This would certainly enlighten you and show you why you are currently living paycheck to paycheck. Sometimes, you might not see the results immediately, but, keep in mind, that a budget plan is a new habit to hold on to. It will allow you to obtain a long-term positive financial situation. It takes time to form a new habit. In no time, you will certainly develop and acquire good reflexes about your money inflow and outflow. Next Next post: Canada student loans: How to repay it fastly?